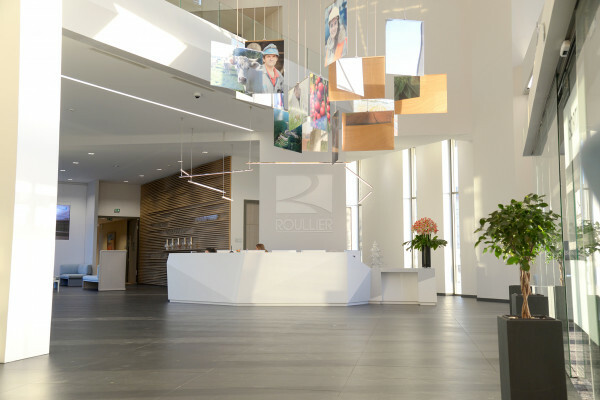 With a desire to pass the baton on to a new generation of managers in the best possible conditions, whilst supporting them in assuming their roles, the Groupe’s founder, Daniel Roullier, and the Chairman of the Management Board, Henri Boyer, decided to make the following appointments, which took effect on 1st January 2018. Sophie Bigaignon, Vice-Chairwoman of the Supervisory Board, is appointed Chairwoman of the Supervisory Board. She is taking over the position from Daniel Roullier who will become Chairman of the family company that owns the Groupe. Roxane Roullier, member of the Supervisory Board and Chairwoman of the Senior Executive Career Appointments and Monitoring Committee, is becoming Vice-Chairwoman of the Supervisory Board. Sébastien Chauffaut, Corporate Affairs Director, will succeed Henri Boyer as Chairman of the Management Board and will now sit on the Strategic Committee. Henri Boyer will become Chairman of the Strategic Committee. These developments constitute part of a desire to promote a new generation of skilled managers who have heavily invested themselves in the company for many years. This process will allow the Groupe to enter a new stage in its development, while ensuring continuity under Sébastien Chauffaut’s leadership. The Strategic Committee remains the body that recommends primary courses of action to the management bodies of the Groupe’s holding company, in agreement with the family shareholders. It is made up of members of the Supervisory Board and Management Board, and Heads from the various business divisions and Corporate Functions.